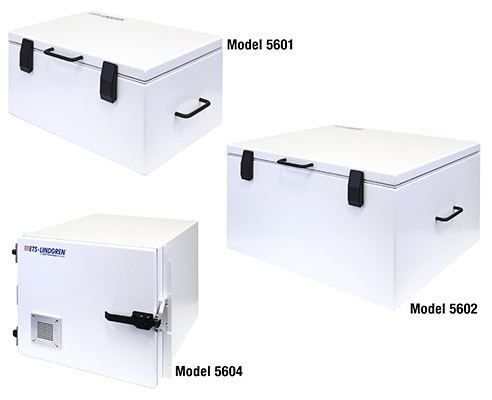 ETS-Lindgren’s 5600 series of RF Test Enclosures are self-contained, portable test cell enclosures designed for testing wireless devices in a development, production, and/or quality assurance environment, from 300 Hz to 13 GHz. Other applications can include 802.11 A, B, G and N devices, Bluetooth, Zigbee, RFID, 3G, IOT, WiMax and LTE. These small device test enclosures can help isolate devices under test from outside signal interference allowing users to make reliable and repeatable measurements in a noise free environment. Tabletop and rack mount configurations are available.